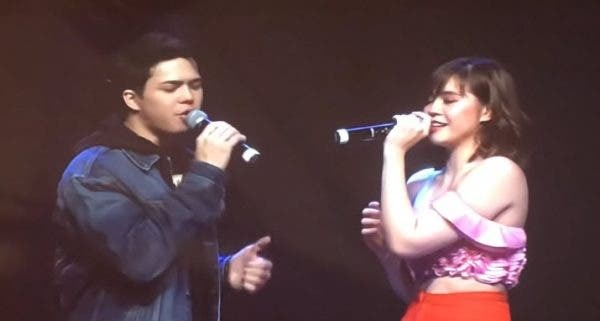 YouTube user Jovaga 7777 uploaded the video of Janella Salvador and Elmo Magalona singing “Born for You” during the “One Magical Night 2018” concert in Calgary, Canada, last November 2, 2018. The David Pomeranz song is very significant for the Elnella love team because they were launched in the 2016 teleserye of the same name where their friendship developed into a romantic relationship. However, people perceives that it’s their last duet, and the concert their last project together, since the news broke out just last October 24 with Janella claiming that Elmo physically hurt her twice that led to their separation.